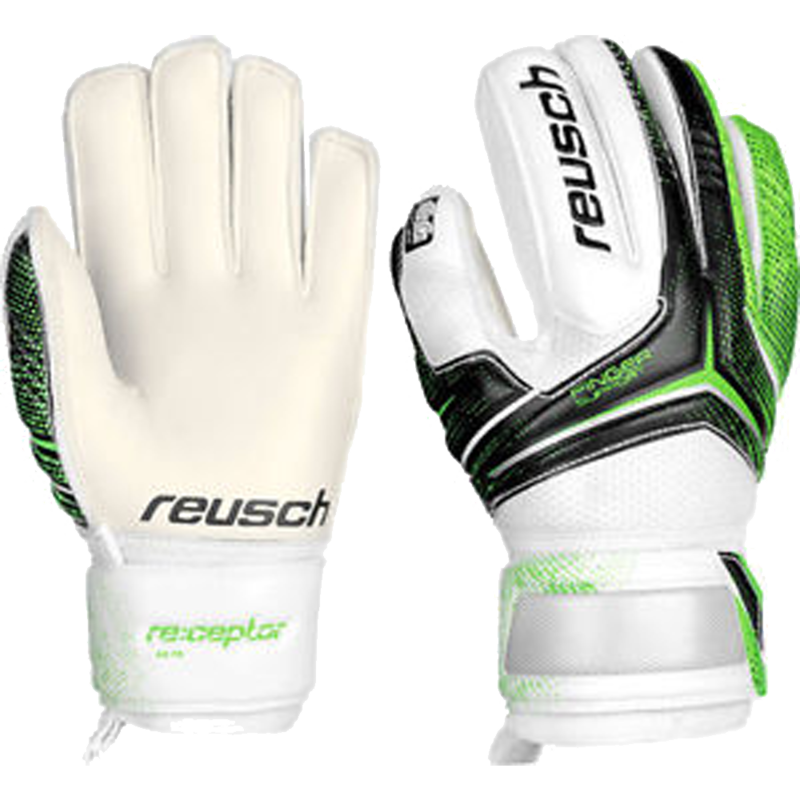 Reusch finger protection in the fingers and thumb provide youth goalkepers with support and flexibility. Very good glove for junior soccer goalies and great price. Reusch is the leader in protection. Reusch's SG soft grip foam is a quality palm made of natural and synthetic latex mixture. This Reusch soccer goalie glove offers grip and durability for the youth goalkeeper. Yes, the Reusch Finger Support stays are flexible finger protectors that span the length of the fingers and thumb to prevent hyperextension. They are not as rigid as the Ortho-Tec system and therefore don't offer as much protection to the fingers. The Finger Support stays are perfect for the youth goalie who wants some protection, but still have the flexibility of a none finger protection glove. This junior goalkeeper glove features a soft EVA backing. Embossed foam design makes the glove more flexible and many breakpoints across the backhand. Reusch's Expanse Cut has a deeper thumb notch on the face of the glove that includes and elasticized piece below the foam to help eliminate tear out. This cut also features pre splayed fingers and mesh gussets for breathability. This glove also features Reusch's Thumbflex technology for extra comfort and support making it an excellent glove option for youth goalkeepers. Full strap wrist bandage with velcro closure. This latex is best used in dry conditions. They work great for my son. Great quality. Purchased these for my U8 boys and U10 girls teams, and they kids love them and they are solid gloves.